With the addition of Shelter My Heart, Trapped by Fate on Reckless Roads, and Thunderstruck in the Neither This Nor That MC series over the past few months, this collection of stories is beginning to close in on the end. There are two additional planned books in this series scheduled to come your way in 2019. World building at its finest, deMora’s talents shine as she creates realistic conflicts and spins genuine heros to populate her pages. Prepare to enter the world of bikers in a way you’ve never experienced. Rock and roll delight is waiting at the rail in this spin-off from the Rebel Wayfarers MC. 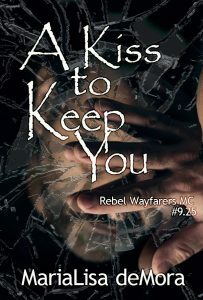 Hot southern nights and even hotter bikers wait in this gritty series. 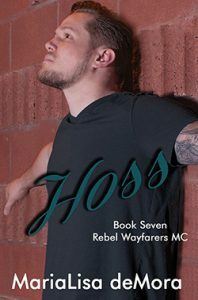 ‘What They Say,’ deMora’s poetry from Hoss, Rebel Wayfarers MC #7, showcased in spoken word video. deMora answers the oft-asked question.